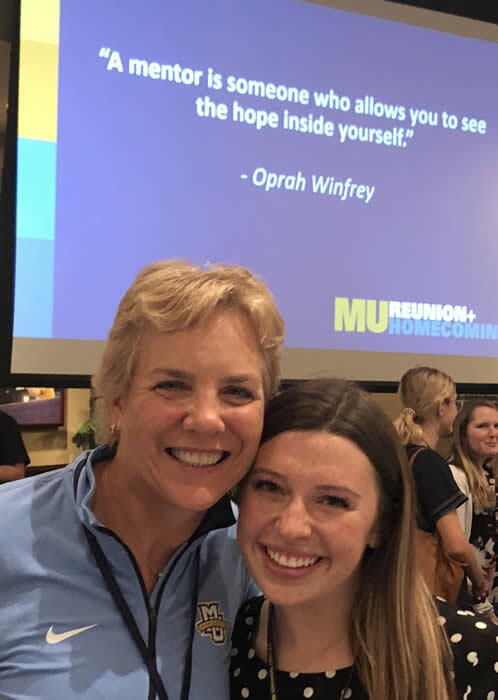 Approximately 200 mentees, mentors from nearly 10 states, campus partners and staff celebrated the launch of the 2018-19 MUAA Mentor Program at the Alumni Memorial Union on Oct. 6. Along with meeting new program mentors and mentees, the program included an opportunity for mentors and mentees to discuss, an annual key metric. The program has grown by more than 330 percent from 30 matches in 2013-14 to more than 130 in 2018-19. Special thanks to all mentors for their return visit to campus for the kickoff. See the kickoff slideshow. New in 2018-19, the MUAA Mentor Program Resource Guide offers more than 20 pages of valuable information, including key program and academic dates; goal ideas; discussion topics’ mentor insights; professional development tips; on-campus career services and more. Since the Oct. 6 launch of the 2018-19 MUAA Mentor Program, several mentees have already completed valuable shadow visit, thanks to the generosity of their mentors, including these two matches. According to Kelly, her visit with Eric was a special behind-the-scenes look at the social media company. “It was a beneficial and unique experience. Facebook was an open and friendly environment, and clearly emphasizes group communication and collaboration. 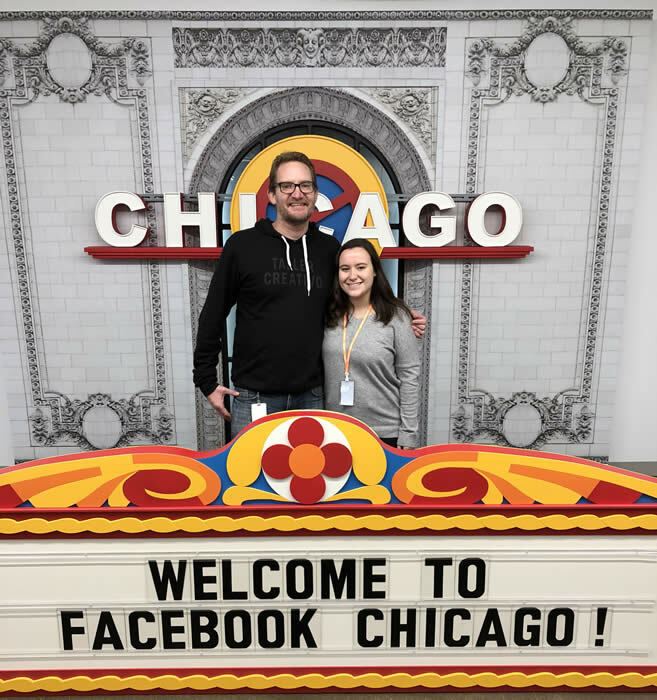 At a large company such as Facebook, it's impressive to see an office where everyone works together and all employee input is valued. There was a common mentality of balancing hard work and having fun,” Kelly says. Program participants are encouraged to discuss the possibility of a shadow visit during a future university break with their mentor. In the event a shadow visit isn’t possible, contact Dan DeWeerdt regarding other shadow opportunities that may be available with other mentors or alumni. This week, the 2018-19 MUAA Mentor Program mentees touched base to gather thoughts, share progress and pass on advice between one another at the Best Practices workshops. The gathering was held on campus and included experiences from several members of the Mentee Alumni Network both in-person and via teleconference. Mentees shared their experiences to date, such as progress to goals, growth within their mentor-mentee relationship, class planning for next semester and past and future shadow opportunities. 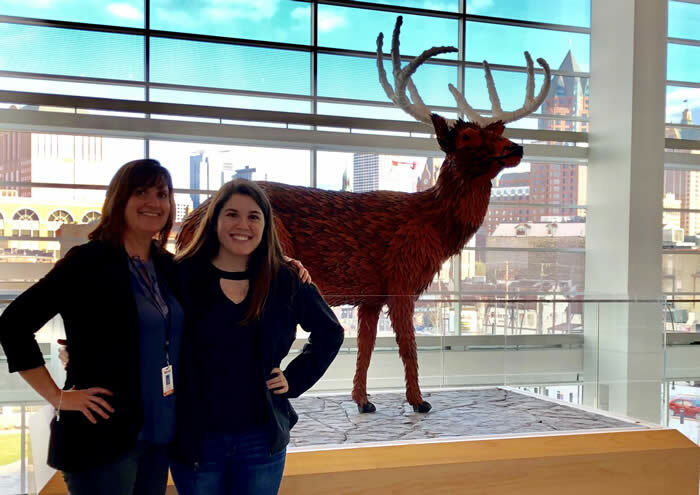 "It was really interesting to hear about other mentor-mentee relationships at the workshop," says Health Sciences mentee Grace Callan. "Those experiences gave me better insight as to how I can communicate more with my mentor, Dr. Plzak." Mentor Monica Oliver, Sp '81 and leadership consultant and certified executive coach at Monica Oliver Consulting in Bernardsville, N.J. (communication mentee Lauren Goetz), provides insight with instilling confidence. Since the MUAA Mentor Program Kickoff in October, a few mentees have approached me for tips on becoming more confident. I’m pretty sure they aren’t alone… it’s a hot topic in my work as an executive coach. There are lots of tips out there, but I focus on these two powerful ones: take control of your inner critic and use your body to convey confidence. Learn more. Since the first academic year of the MUAA Mentor Program in 2013-14, many mentees have shared the value they’ve found in the program thanks to their mentors. 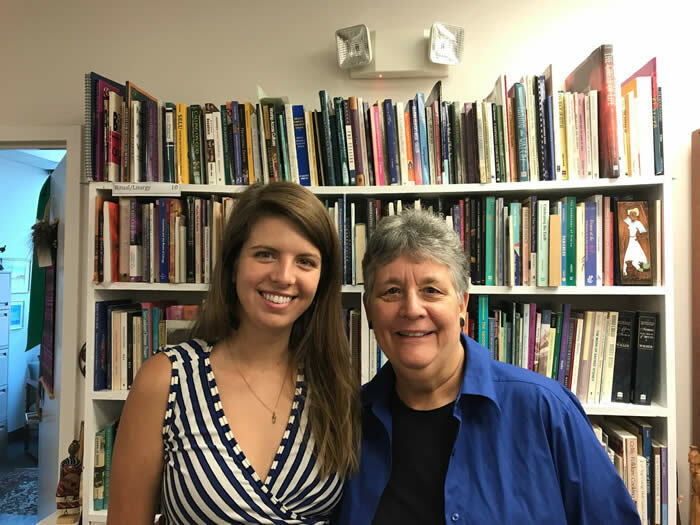 Among them is Mallory Daily, Arts ’14, and program coordinator of the Loretto Volunteer Program, in Columbia, Missouri, who was mentored by Dr. Mary Hunt, co-founder and co-director of the Women’s Alliance for Theology, Ethics and Ritual (WATER) in Silver Spring, Md. Since mentoring Mallory, Dr. Hunt has mentored five other Marquette students and fondly recalls working with her. 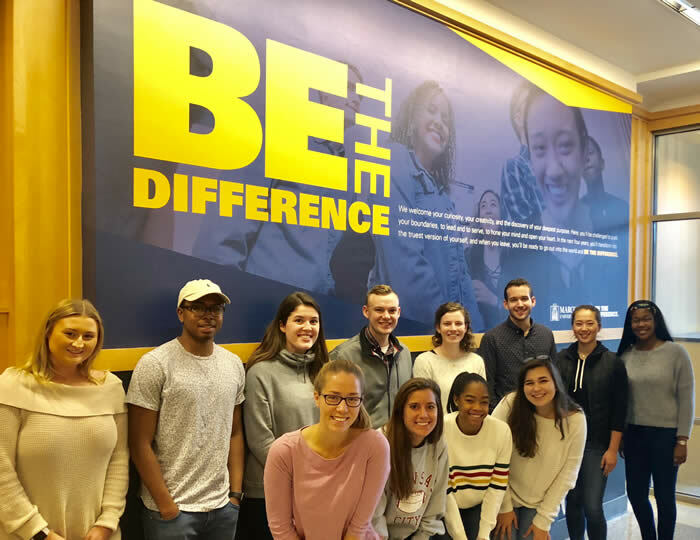 “Mallory was my first Marquette mentee and she is now the very successful at Loretto, which places recent graduates in non-profits like WATER and other social justice settings for a year of service,” Dr. Hunt says. Many mentors, mentee alumni and a current mentee met at the Oct. 18 Marquette CIRCLES - New York Networking Roundtable. 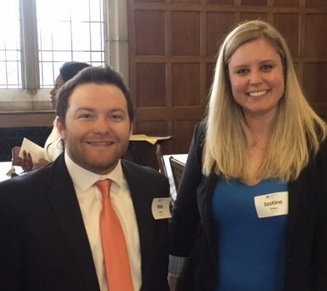 The event included several roundtable discussions, including an interview with mentor Steve Rushin, Jour '88, and feature writer and columnist at Sports Illustrated by his 2014-15 mentee Deny Gallagher, Comm '16. 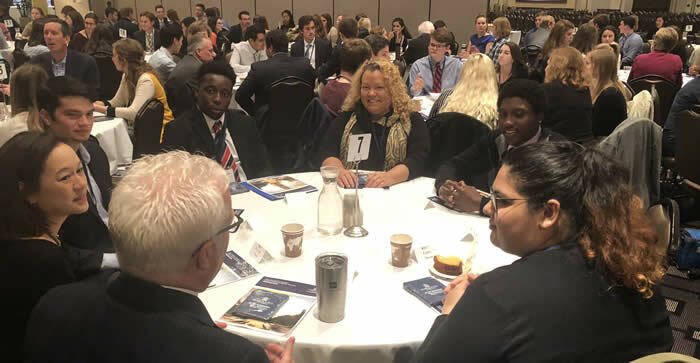 Other mentor program participants in attendance included Meghan King; Henry Kwan; Monica Oliver; Chris Pardon; Lisa Roman; Joseph Schuster; Omo Tseumah; and Michael Yang. 1. Why have you been serving in the MUAA Mentor Program for five years? When I was a senior, I decided the professional path I had spent four years working toward wasn’t the one I wanted to go down. Having a professional adult available to help with the transition into the real world would have been incredibly helpful. When I heard about the MUAA Mentor Program years later, I jumped at the chance to provide a service to undergrads that I didn’t have. It’s been one of the best decisions I’ve made since graduating. 2. What are two things you think a Marquette student should do before they graduate? Learn how to professionally network and advocate for yourself. I cannot stress the power of networking enough. You never know if your next job is going to come from the person you just sat next to at a volunteer function. But equally, if not more important, is to always advocate for yourself. You know your skills and what you have to offer to a team or company. Say so! 3. You’ve worked with several mentees. What’s one thing you have learned from them? Patience. As a mentor, you have a tremendous amount of enthusiasm around helping your mentee. You want to impart every last bit of wisdom on them, but the relationship must be focused on the mentee. Mentees are nervous and initially quite guarded. Be patient and ask questions of your mentees and realize that some will come around more slowly than others. 4. If you’ve had a mentor, what’s one piece of advice that has stuck with you? I had a great mentor early in my career that really took me under her wing. During our first meeting, she taught me something that I’ve applied both to my professional and personal life…hope is not a strategy. It may sound harsh, but it’s been a great piece of advice. That’s not how tasks gets done. Make a plan, work the plan and earn the accomplishment. Same goes for your personal life. You’ll be amazed how many more homemade dinners you’ll put on the table if you take 5 minutes to plan. 5. What’s your favorite Marquette memory? No brainer! Going to the Final Four in 2003. That tourney journey was a surreal experience. Justine Christian, Arts ’04, is senior manager at BLUE Software in Chicago. She’s serving in the MUAA Mentor Program for the fifth year as well as the MUAA Mentor Program Leadership Council. She can be reached at jgchristian99@gmail.com. Current program participants and mentee alumni, celebrate your latest news such as a new job, promotion, received an award or service In the News. Email a one-sentence description with a headshot to daniel.deweerdt@marquette.edu. From mentor and mentee broad-based questions to timely and trending mentor and professional development articles, visit the MUAA Mentor Program Toolbox. See an interesting mentor or professional development story you'd like to share with fellow participants? Email it to Dan DeWeerdt. Copyright (C) 2017 Marquette University. All rights reserved.